Need Outside Lights that don't cost the earth? Welcome to the Next Generation of Outdoor Lighting from PowerBee Ltd.
PowerBee Outside Lights, Weatherproof, Work All Year Round in UK, Multi Function Operation, Easily Fitted, USB & Solar Charging Options with Battery Backup. Open Up Your Garden and Step Outside with our Quality Range of Lights, PowerBee have been specialising in Solar and Battery Powered Lighting for 10 Years. Our Energy Efficient Outdoor Wall lights, Lanterns, Deck & Garden Lights Powered by Solar energy and Battery Power, provide a real cost effective Outdoor Lighting Solution. They are very Easy to Fit, No Electrician Needed, in most cases they can located in less than 5 minutes. Our Modern Led Lighting Now allows You to light up Your Garden, the way You need to, spot Garden Lights along Borders & Pathways, use Flood Lights for Garages & Outbuildings, and highlight Bushes and Trees with our Spot Lights. 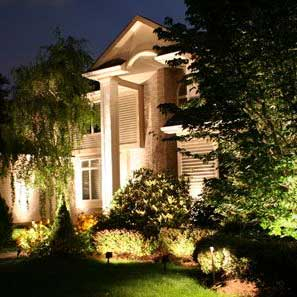 PowerBee has the Outdoor Lighting Solution to suit Your Need.